Recruiting is challenging in any industry, but health care recruitment faces more challenges than most, from budgetary constraints and limited resources to shortages of experienced health care workers and ever-changing reimbursement policies. 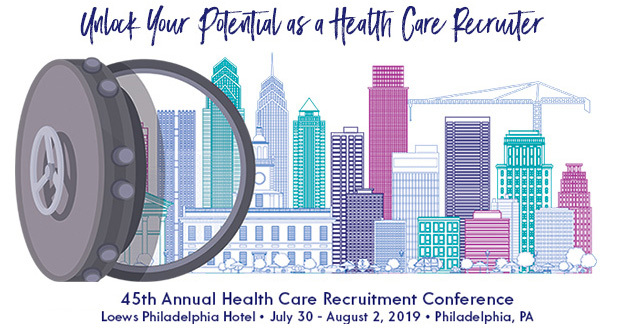 NAHCR is pleased to offer health care recruiters the opportunity to demonstrate their readiness to face these challenges by earning the Certified Health Care Recruiter (CHCR) examination. Candidates who have successfully earned their CHCR credential must re-certify every two years to maintain their credentials. Re-certification is an easy and straight forward process, with two convenient paths available. Continuing education through systematic, ongoing professional development is one option many candidates choose to meet their re-certification requirements. Candidates choosing this option must complete 20 hours of acceptable continuing education, which may include college or university courses, conference or seminar participation, e-learning and online programs, and authorship of professional publications or presentations. If you are re-certifying through continuing education, candidates must ensure that the 20 credit hours of continuing education is completed within the current certification period, meets the definitions of acceptable continuing education activities, and is completed before the certification expiration date. The cost to re-certify through continuing education is $150.00 for NAHCR members and $295 for non-members. The cost of continuing education activities is the responsibility of the individual. Click here to apply for recertification through continuing education. Re-certification through reexamination is another option available to CHCR certification holders. Individuals holding an active CHCR Certification in good standing may sit for the CHCR examination during their certification period. Individuals may use this opportunity to conduct a self-directed plan of study in preparation for the CHCR Credentialing Examination. This examination is offered once annually at the NAHCR annual conference. The cost to re-certify through continuing education is $450.00 for NAHCR members and $595.00 for non-members. The cost of travel to and from the examination site is the responsibility of the individual. NOTE: NAHCR annual meeting registration is NOT required to attend the exam. Click here to register for the re-certification examination. NAHCR is committed to making recertification options fair and available for all CHCR Certification holders, and we are available to assist you through this process and answer any questions you may have. Many frequently asked questions can be answered by clicking here. If you still have any questions, or need assistance with your application, contact NAHCR Headquarters.